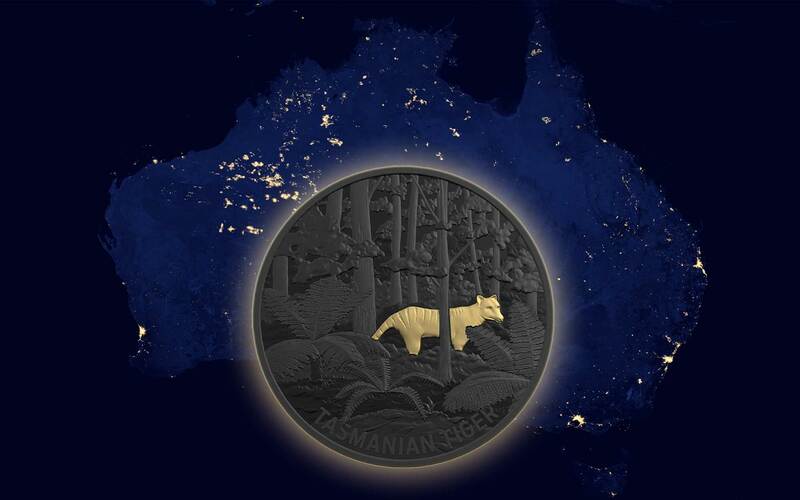 Australia’s quirky wildlife is no stranger to modern coins. On the contrary, the Perth Mint has done its best to make sure we know all about it, but the Royal Australian Mint (RAM) has always been a close second. 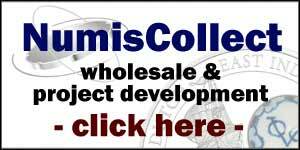 The latter is now adding to its catalogue with a trio of coins employing black nickel plating for the first time. Called Echoes of Australia, it’s a fresh take on this popular subject. 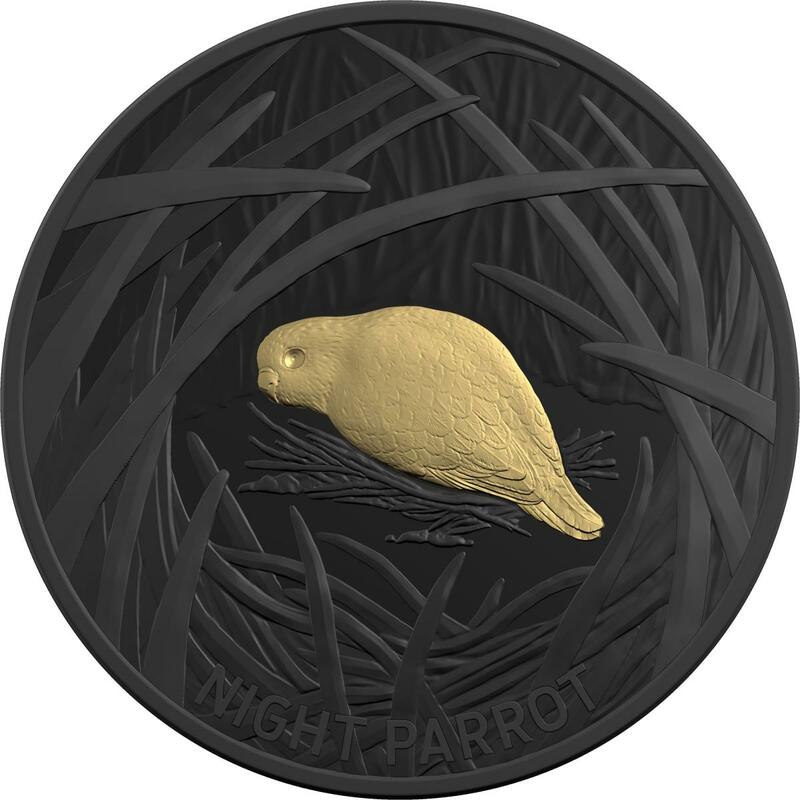 Each of the three coins in this series will be sold individually, but are clealy related and share a common obverse. The reverse face look is very similar to that popularised by the modified bullion range called Golden Enigma. 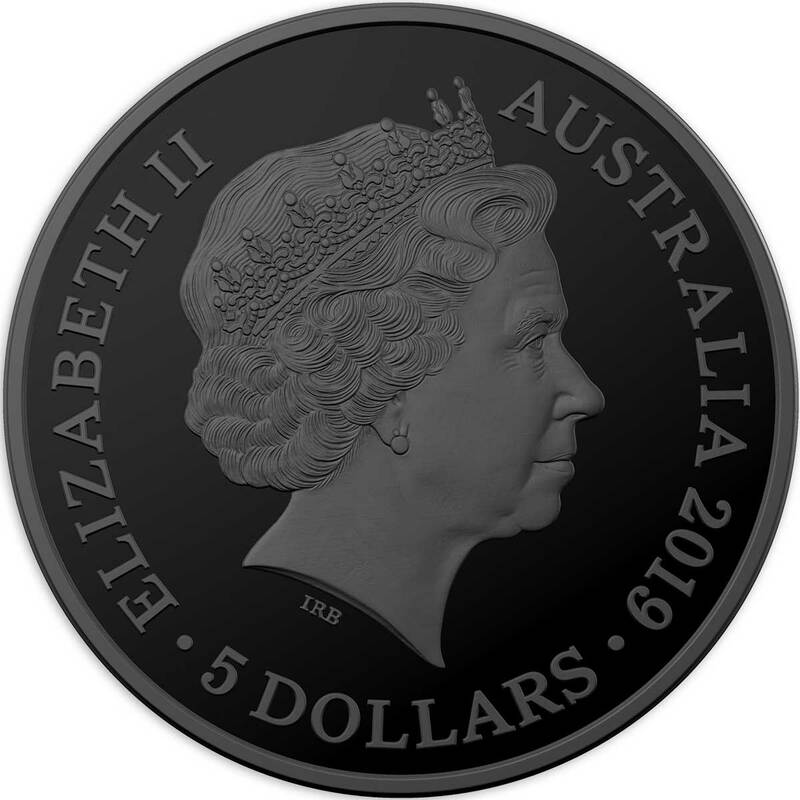 In that case the black finish on the coin was enabled by plating with ruthenium, but the RAM has gone with black nickel instead. The difference is not noticeable or important and achieves the desired aesthetic aims. The art is relatively basic and all the better for it. A majority of the design is given over to the creatures habitat and sucessfully frames the animal within it using a contrasting gilded finish. Just the animals name is inscribed here and it’s extremely unobtrusive. The three coins are released at different times. 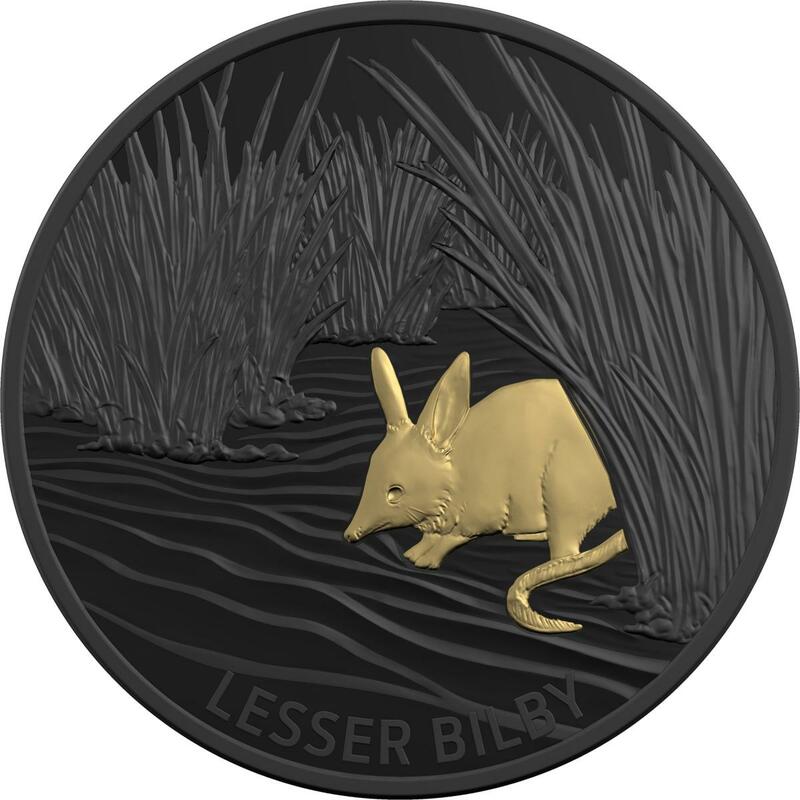 First up is the Tasmanian Tiger (04 March), and that is followed by the Lesser Bilby (06 May) and the Night Parrot (15 July). 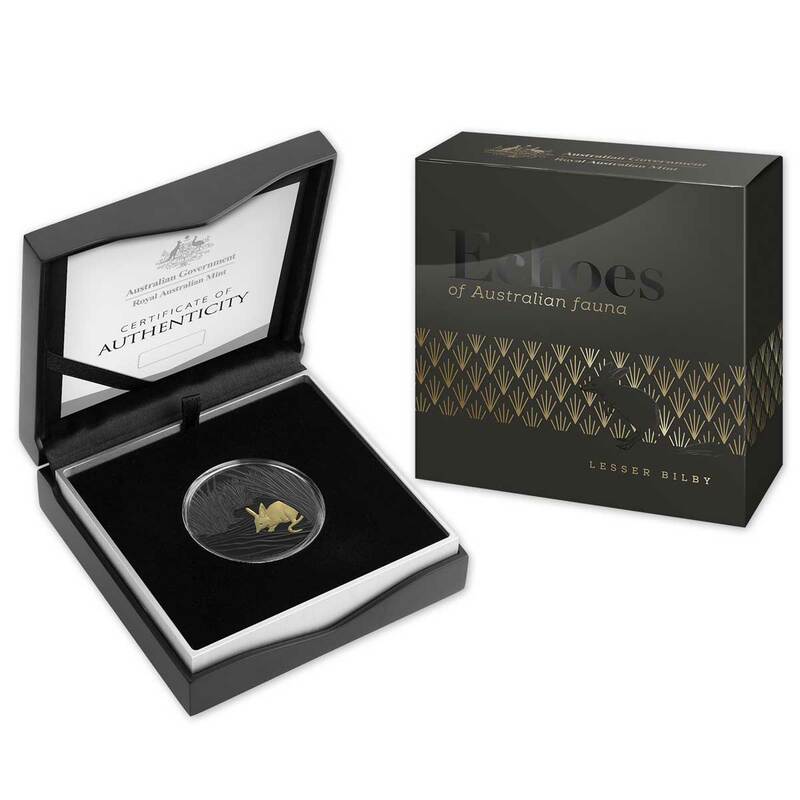 Each issue is a troy ounce of 0.999 silver in weight and is presented in a neat coin box with a certificate of authenticity. The mintage of 5,000 per design is typical of the RAM, but they’re obviously expecting the series to be a hit. They have imposed a 3 per customer account limit on purchases and have said they will cancel and refund customers caught exceeding it. A neat trio of coins with a $140.00 AUD per release price tag. Available to pre-order now. The thylacine, or Tasmanian tiger, may have been extinct since the 1930s but it is still viewed as one of Tasmania’s most familiar animals, often seen in art and literature. 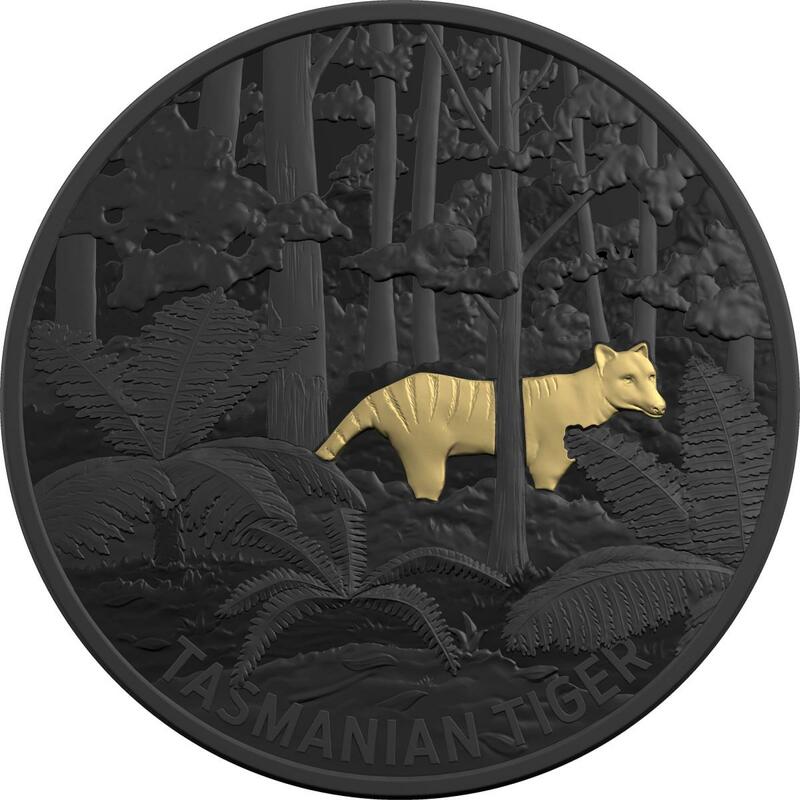 This extraordinary 2019 $5 Nickel Plated Silver Proof Coin featuring black nickel and selective gold plating, depicts a shy thylacine lurking in the lush forests of Tasmania. A stunning collector’s item that is certain to be treasured.